Cataracts - Charles Bittel III OD, Inc. 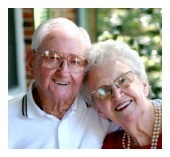 Initial cataract treatment includes the use of glasses, bifocals magnification or other visual aids. If cataracts develop enough to visually impair you and negatively affect your daily life, consider cataract surgery to improve your vision. During cataract surgery, your surgeon will remove the clouded lens and replace it with a clear plastic intraocular lens (IOL). Most cataract surgeries have a high success rate, resulting in dramatically improved vision. If you suspect you have a cataract, and you live in or around Yorba Linda,s feel free to contact our office to schedule an eye exam with one of our doctors today. We will gladly answer any of your questions and provide you with the best treatment options available to you.